In the USA the Sierra Madre, Argia lacrimans, is confined to small rocky streams of three Arizona counties (Cochise, Santa Cruz, and Pima). 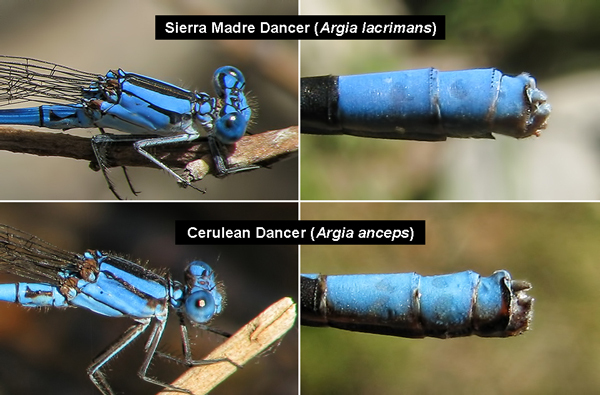 It is rather similar to other mostly blue Argia species (e.g., Pima and Tarascan Dancers) and even more to the Cerulean Dancer, A. anceps, a Mexican and Central America species that was not discovered in the US until 2012 and has so far been observed in Cochise and Santa Cruz Counties. 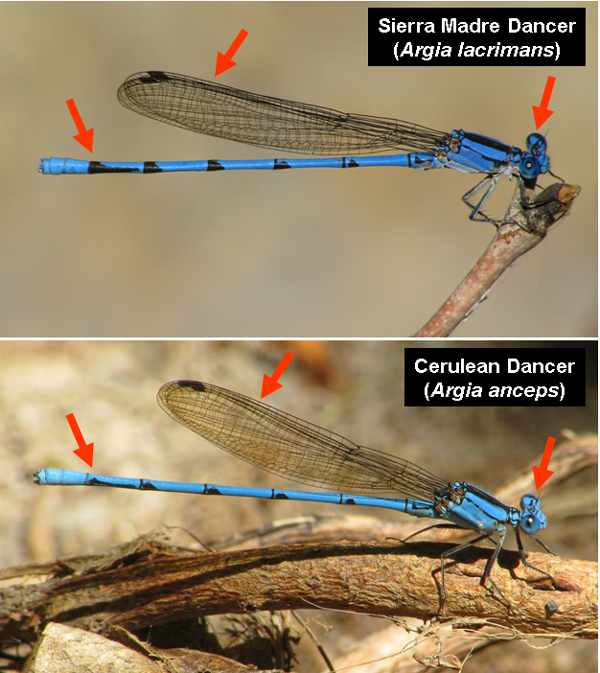 Sierra Madre Dancer on average larger (37.5 - 46 mm) than Cerulean Dancer (37 – 41 mm; Westfall and May, 2006), but there is partial overlap. Sierra Madre Dancer generally has clear wings. The wings of Cerulean Dancer have a yellowish/amber tinge. Male Sierra Madre and Cerulean Dancer head and appendages (lateral views), Arizona.